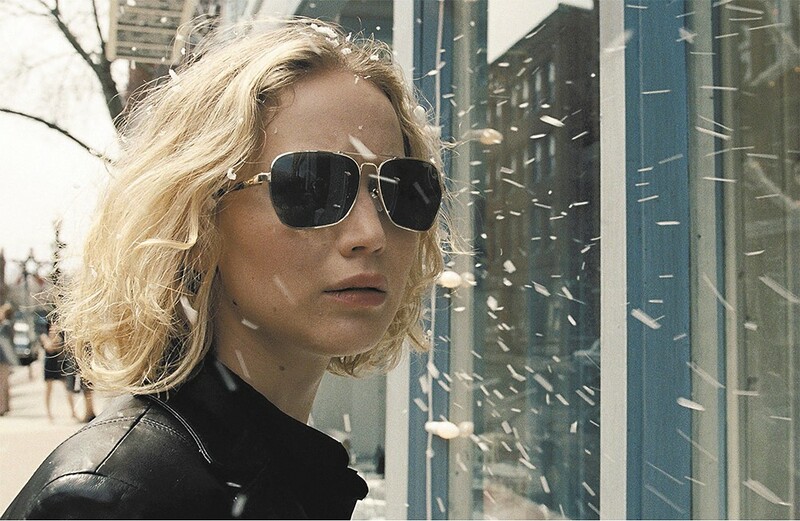 How you feel about Jennifer Lawrence will have a lot to do with how you feel about Joy. Hollywood did not learn its lesson. A few years back, Universal released Flash of Genius, the true story of the guy who invented the intermittent windshield wiper. Well now, there's an exciting story. The film vanished. Now, 20th Century Fox has glommed on to another fascinating tale: the true story of the woman who invented the Miracle Mop. You know, the self-wringing kitchen floor contraption that keeps your hands clean. What's that I hear? Is it a communal yawn? The lame subject matter isn't the main problem with Joy, named after Joy Mangano, the hapless, downtrodden Long Island divorcée who invented the product. The real trouble is twofold: There's too much of one thing, and not enough of another. Writer-director David O. Russell has proven himself to be a terrific creator of characters (sometimes based on real people, sometimes fictional) and situations to put them in. Flirting with Disaster, The Fighter and American Hustle remain his best examples of that. But that's not the case with Joy. Many of his characters here, though based on real people, come across as caricatures, recognizably human from time to time, but often going back and forth from too kooky to too overwrought. There's just not enough of the kind of Russell that his fans have come to expect. But there's far too much of Jennifer Lawrence, who in the lead role inexplicably continues on as Russell's current favorite actress, after a co-lead in Silver Linings Playbook (for which she nabbed an Oscar, an incident that still keeps me up at night), and a supporting role in American Hustle (mystifyingly earning her an Oscar nomination). Russell's fascination with Lawrence apparently transcends her lack of range as an actor. Though the story traces Joy's rise from weak-willed, emotionally abused homemaker and single mom to powerful, hugely successful entrepreneur, Lawrence hardly registers any discernible change in facial reactions or attitude. She seems to remain in a comfort zone that sits between a tired smile and a pout. This starts out as a niggling problem that eventually turns annoying, since Russell chooses to keep his camera up close on her face, for long periods, even when she's silent and lost in thought. Russell manages to get a couple of strong performances out of the people around Lawrence. Bradley Cooper does what he does best with those twinkling blue eyes, playing quietly excitable QVC founder Neil Walker, really an amalgam of people who put the shopping network together. And Edgar Ramirez is excellent as Joy's loyal but exasperating ex-husband Tony (who, in a flashback sequence, steals every moment of screen time when he grabs a microphone and blasts out a great rendition of Mama Told Me Not to Come). But Robert De Niro's portrayal of Joy's not-so-nice dad is unfocused (more of a writing than an acting problem) and Isabella Rossellini as his wealthy girlfriend needs some reining in, as she plays the part too broadly. The film totally succeeds when it goes behind the scenes in a TV studio to show what was happening in the early days of QVC (quality, value, convenience), and there's a major casting coup with Melissa Rivers playing her mom Joan, who was a regular QVC pitchwoman. But the story of good luck and bad luck mixing with good and bad business decisions, along with a taste of fraud, becomes taxing, and finally dull. Joy is not showing in any theaters in the area.